There are two ways our dermatologist-tested facial cleanser improves the look and feel of your skin. 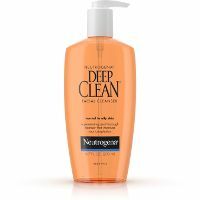 It cleanses deep down into clogged pores—dissolving dirt, oil and makeup. It removes dead surface skin cells that can dry, roughen and dull your complexion.